To Aap Isko Download Kar Sakte Hein Ye Kisi Bhi Android Device Par Chalega. 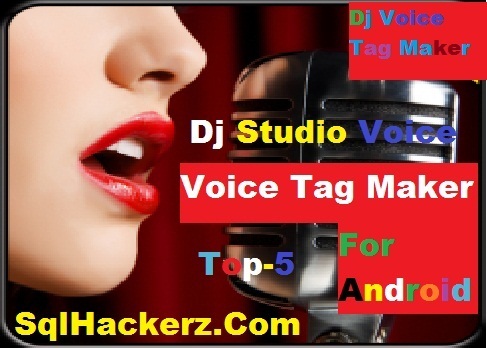 To Dosto Agar Aap Apni Real Studio Voice Banana Chahte Hein To Ek Baar Is App Ko Zaroor Try Karein. To Aap Isko Bhi Ek Baar Try Karke Dekh Sakte Hein. Talk FREE - Text to Voice:- To Dosto Aagaya Hai Sabse Last Me Text To Speech Ka Software Par Aapko Bata Du Ki Ye Mera Favoruit App Hai Our Isse Voice Tag Banana Bahut Hi Easy Hai Our Dosto Iski Voice Quality Ekdam Real Jaisi Hoti Hai,Isme Bus Aapko Text Enter Karna Hai Our Pich & Speed Set Karna Hai Uske Baad Dekho Kamal Ki Voice Tag Banegi, yahi Nahi Dosto Isme Bhi Aap Voice Download Kar Sakte Hein Our Me Suggest Karunga Ki Aap Indian Voice Download Karke Uspar Apni Voice Banaye. To Dosto Ye Thi 5 Sabse Best Applications Jinse Aap APne Music Ke Liye Best Voice Tag Bana Sakte Hein Our Apne Songs Me Laga Sakte Hein, Dosto Ummid Karta Hu Ki Aapko Ye Post Pasand Aayi Hogi Our Agar Pasand Aayi Hai To Humari Website Ki Notifications Ko Subscribe Zaroor Kare Jiss Hoga Ye Ki Jab Bhi Me Koi New Software Upload Karunga To Uski Notification Aapko APne Email Par Mil Jaayegi.